I was missing Colorado today so I spent some time looking at photos from my last trip there in February of 2011 and I thought I would share. When I lived in Fort Collins many years ago I loved hiking Horsetooth Mountain Park. So when I arrived last year to stay with my friend one of the first things we did was head to the hills to hike. Here is one of the photos. I really miss seeing these trees and smelling the fresh air. This entry was posted in Travel Photos and tagged Colorado, Fort Collins, Fresh Mountain Air, Hiking, Homesick, Horsetooth Mountain Park, Life, Photography, Photos, Travel, Travel Blog, Travel Journal, Travel Photo, Travel Photos, Trees. Bookmark the permalink. Thanks Nia…we were talking the other day about going back home for a trip. We’ll see what happens. Hi Barbara! Thanks for stopping by! We almost moved to Boulder years ago. It is pretty amazing out there. Boulder is a fun town and lots of great hiking there. It is a wonderful place to live if you like outdoor activities. Colorado misses you too, TBM! Looks like a beautiful hike! It’s good you have the photographs to capture those memories. 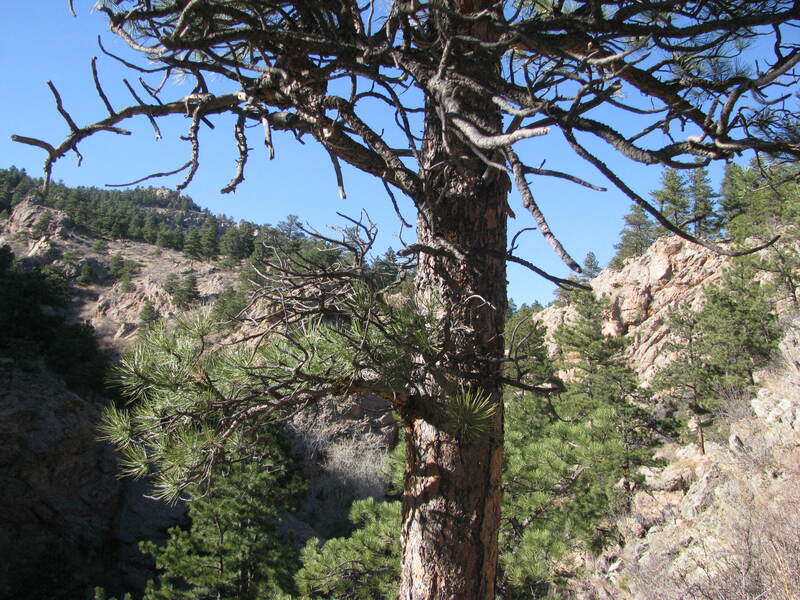 It is a lovely place to go for a hike and it isn’t too far outside of Fort Collins. Thanks Fergiemoto. Love that. Such a blue sky. I miss hiking in the woods. I miss it as well…and I miss the blue sky. We’ve had clouds for days now. I can see why… so gorgeous. Thanks…they are nice to have. Vegas in June…the city should be hopping. Have fun!!!!! It did help…and I am heading to Paris this June so if you feel like sharing any of your photos I would greatly appreciate it 🙂 Please don’t feel pressured. I know you are busy. I love our blue skies and feel rather out of sorts when I travel to another climate. Hope you can come back and visit frequently! It did take some getting used to, to live without blue overhead. Lately in London all we see are clouds and rain. This past weekend we had some wonderful weather and now it is raining again. Good thing there are many pubs to help me drown my sorrows.